Mission San Jose on the Mission Trail south of San Antonio behind a bed of colorful flowers. 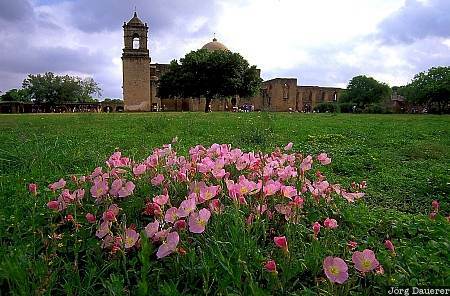 Mission San Jose is in southern Texas, United States. This photo was taken on a cloudy day in April of 2002.